What Is The Oldest Known Analog Computer In The World? The De Facto Global Calendar System Is Known As The? Recovered from the Antikyrthera shipwreck in 1901, the Antikythera Mechanism was not closely examined or understood until the late 20th century. When the device was formally analyzed and ultimately reconstructed, scientists marveled at how accurate the device was at calculating astronomical positions. 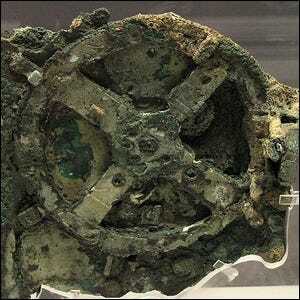 Constructed 2,000 years ago in ancient Greece, the device is the earliest known example of an analog computer–a series of over 30 bronze gears interact to calculate the position of planets based on a user-inputted date. Astronomical clocks with the degree of technologically advanced construction and calculation power on par with the Antikythera Mechanism didn’t appear again in Europe until the 14th century.